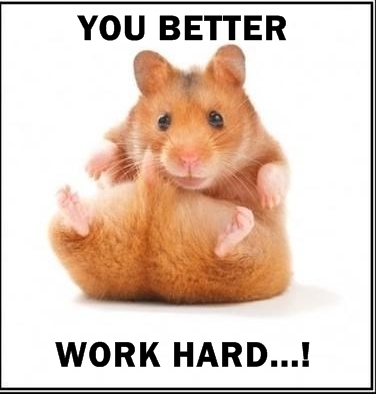 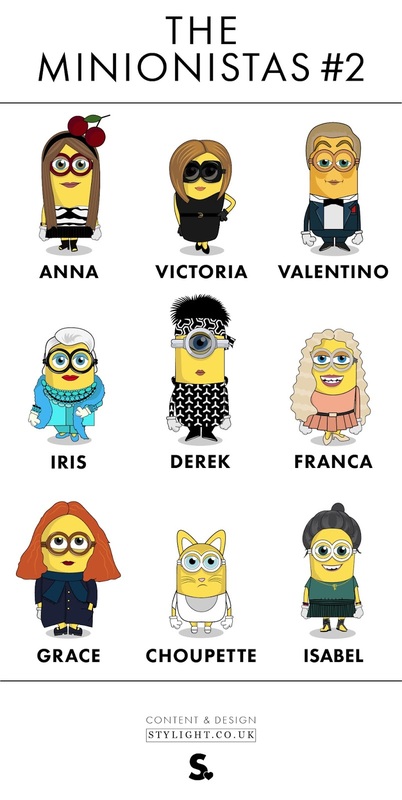 The world belonged to these tic-tac shaped creatures in 2015 year. 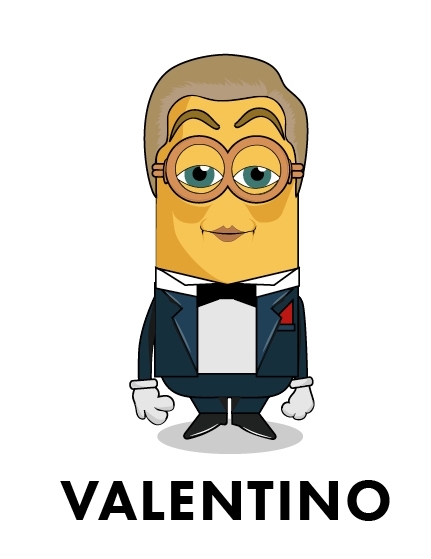 I do agree that the whole worlds has got #Minion fever - with their box-office rate grossing over $630 million worldwide. 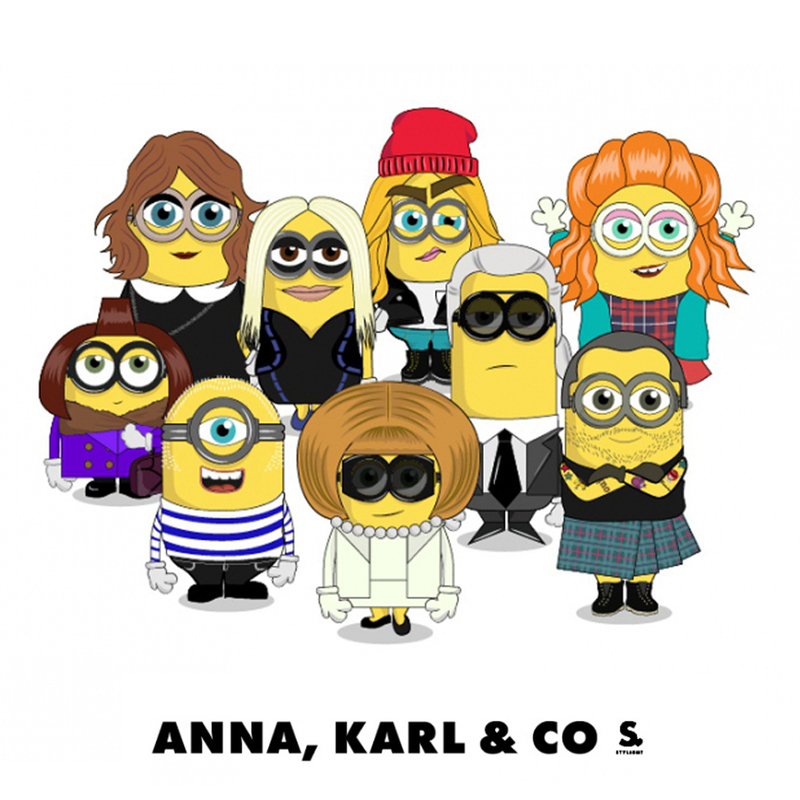 It’s well-known that they are most recognizable cartoon characters until the Toy Story (90s) and Madagascar (2000s) film series! 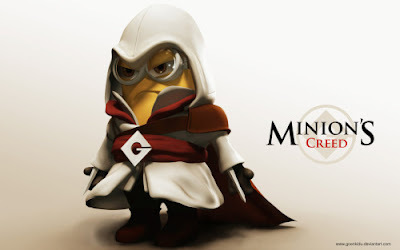 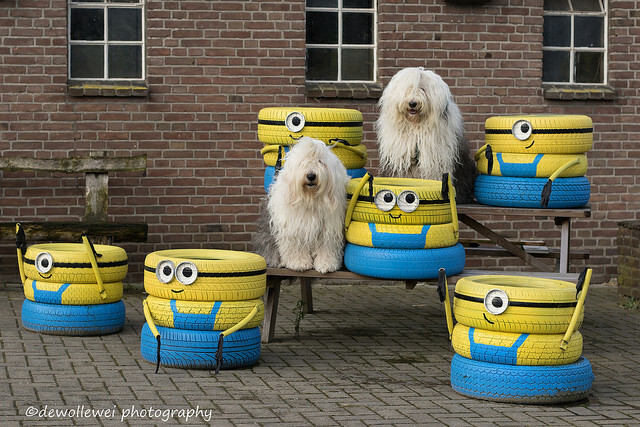 Yellow and sweet, with their weird language - who does not like the Minions, huh? 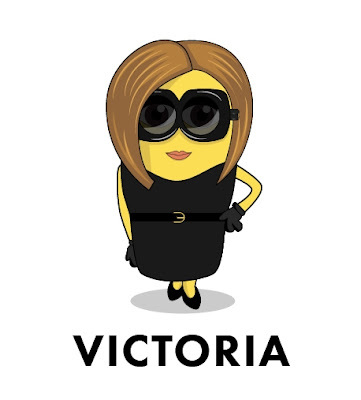 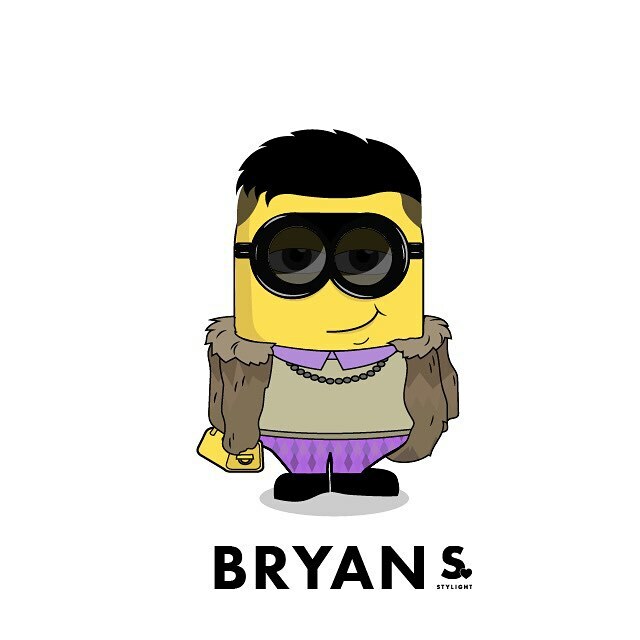 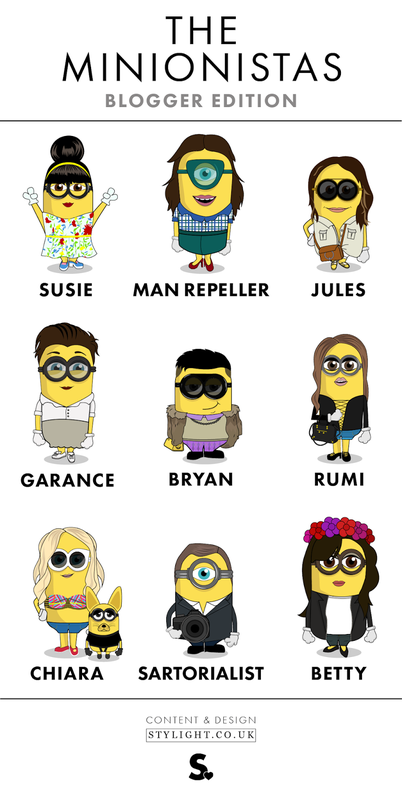 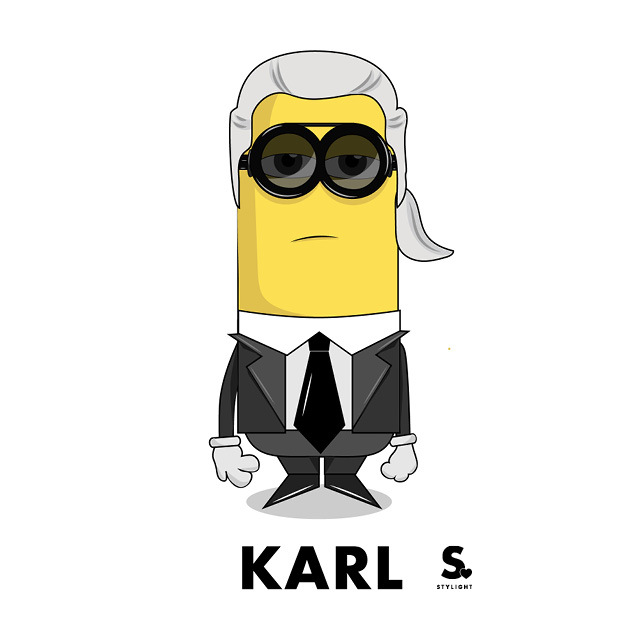 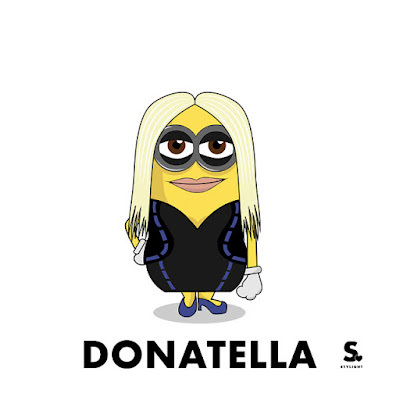 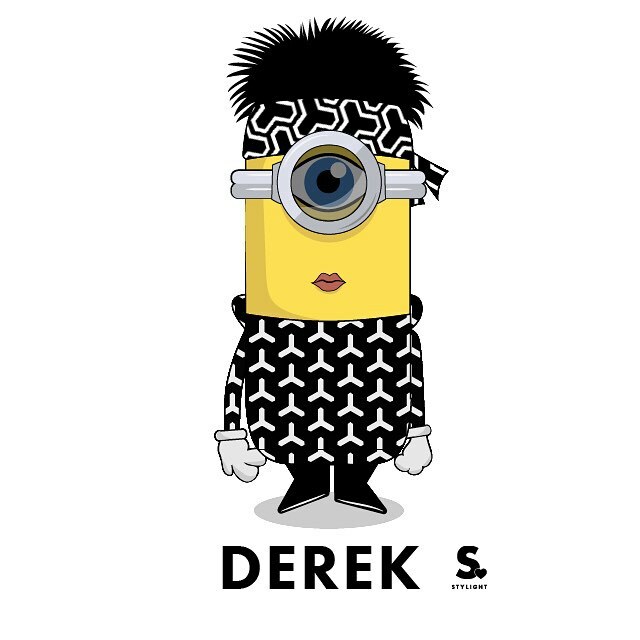 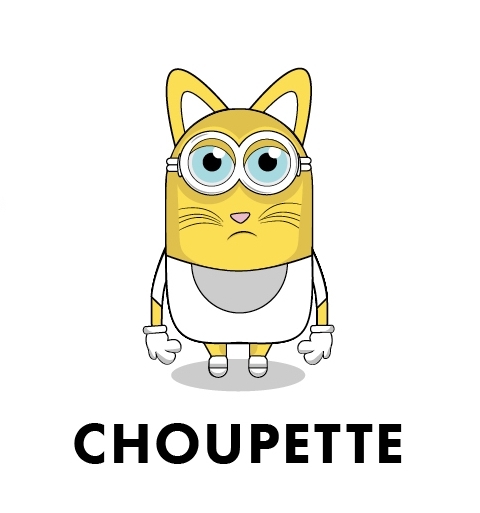 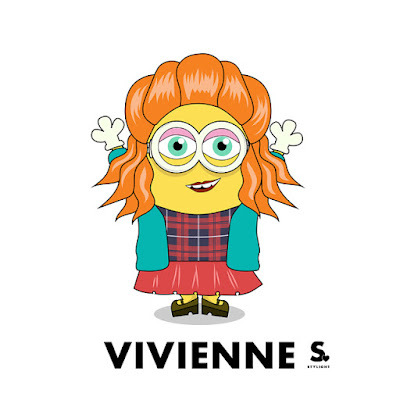 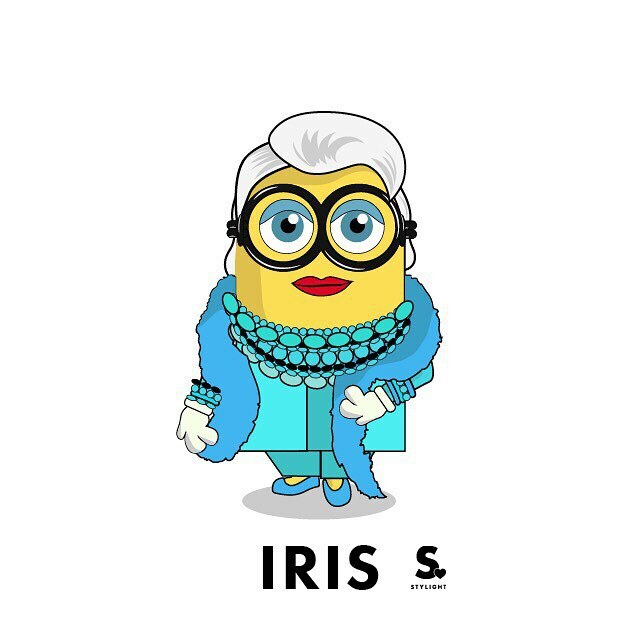 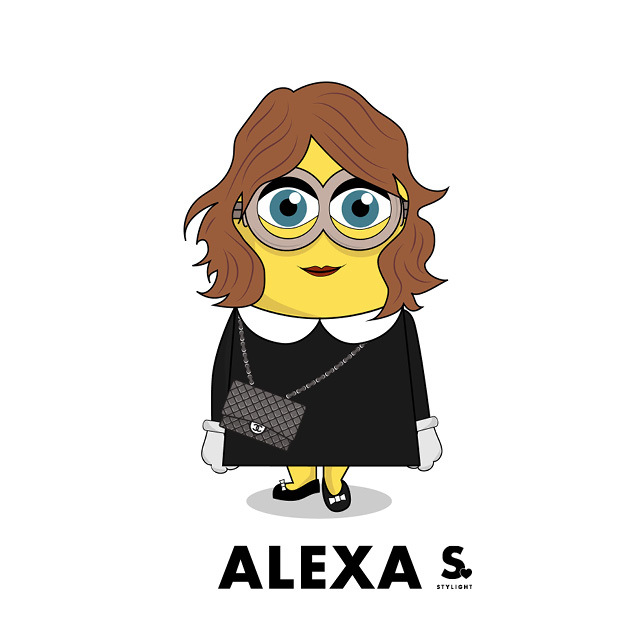 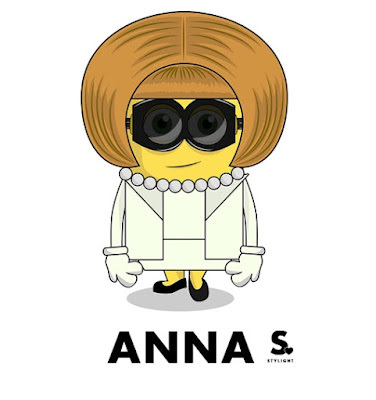 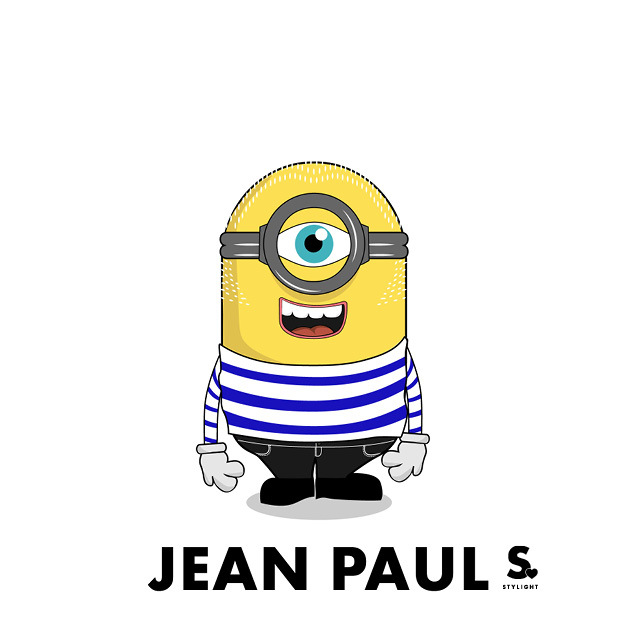 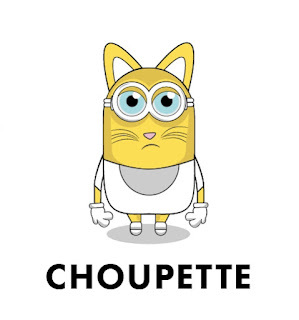 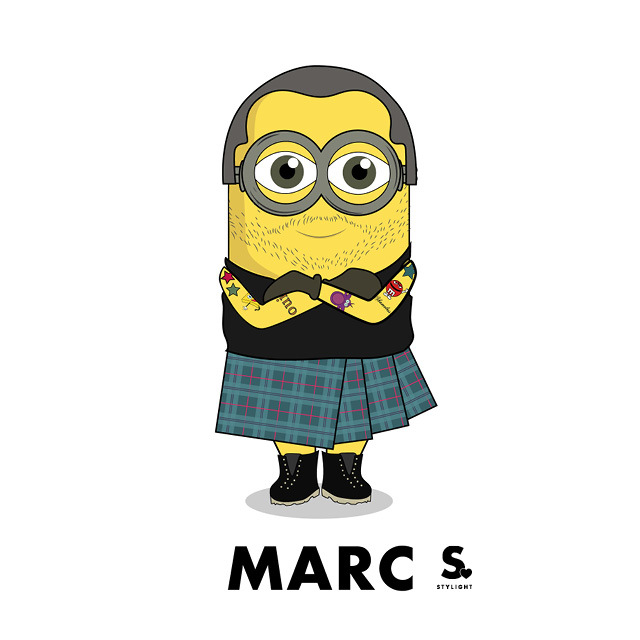 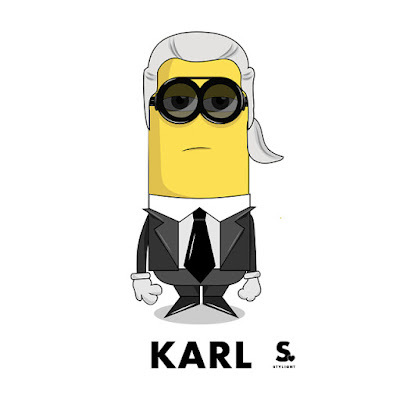 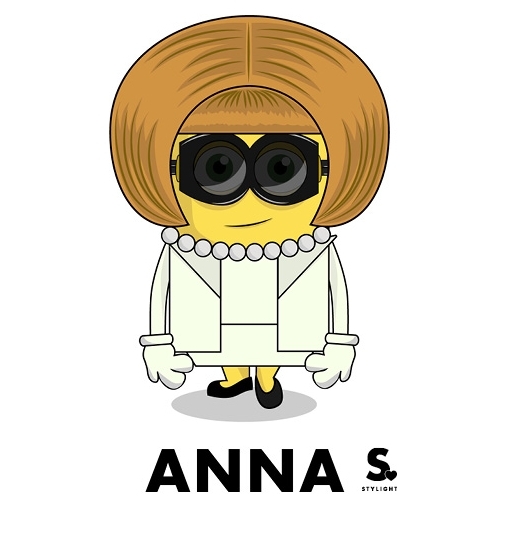 The Stylight decided to create the fashion series of the Minions called The Minionistas: "These accidental style icons are fashion’s biggest breakout stars of 2015 with a Vogue cover and a fashion collaboration with the likes of Giles Deacon and Rupert Sanderson under their belt already. 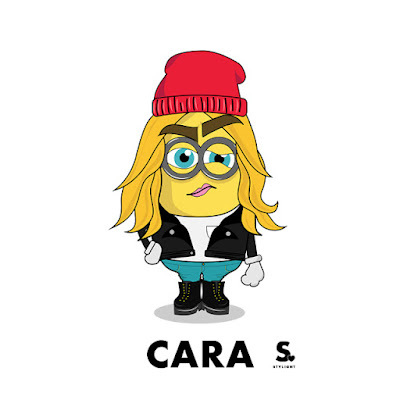 With their ever growing style credentials we decided to turn the tables and imagine what the biggest names in fashion would look like with a Minion makeover… Imagine Cara in her Supra high top trainers as a Minion! 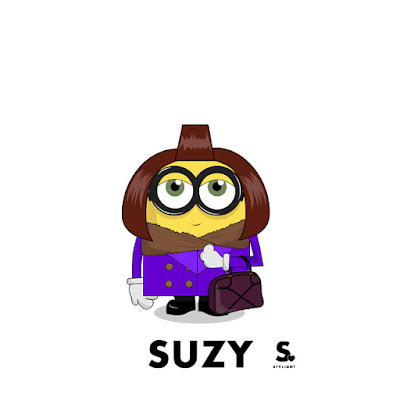 Or what about Suzy Menkes with her cute Burberry women accessories? 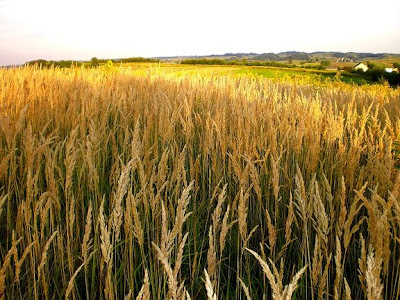 See the full selection below!"